Give everyone’s favorite ring toss a twist for this season. 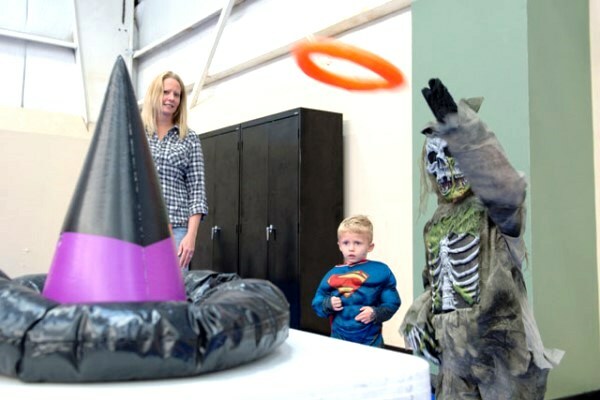 Instead of using cones or poles to hold the tossed rings, use a witch hat instead. You and your little ones can bring out each other’s creativity by crafting a witch hat with fun designs. If not, you can simply purchase one at a costume and accessory shop. This is just like normal bowling but with a twist of Halloween, and it is also very easy to prepare. For the bowling pins, you can use toilet paper rolls decorated with faces of a ghost; if you want, you may also use decorated plastic bottles or tin cans to work as the Halloween bowling pins. 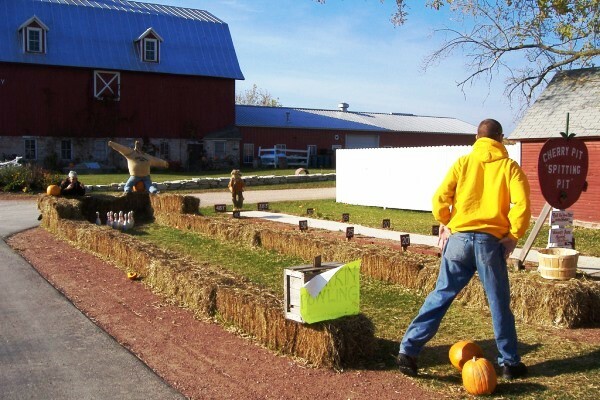 Instead of using a real bowling ball, use pumpkins instead. For this game, apply the same rules of bowling: each player gets two chances to hit and aim for a strike. The player who gets a score on the second hit receives a small prize. To make things more exciting, prepare a grand prize for the winning team so the players will have something to look forward to after the game. During this season, people often play bobbing for apples but others find this game unsanitary. 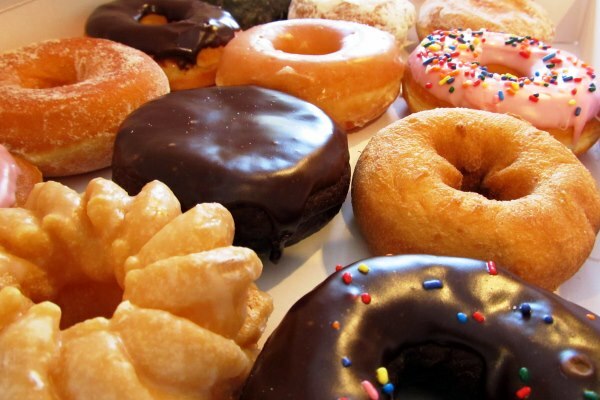 Bobbing for doughnuts is a great alternative and even if it’s messy, it is still entertaining. All you have to do is tie some long ropes around doughnuts and hang these from a high surface such as a tree branch or a ceiling, and the players will stand or sit under these. The challenge of this game is to see who can finish eating their doughnut first without using their hands. To play this game, you will need many rolls of tissue paper. 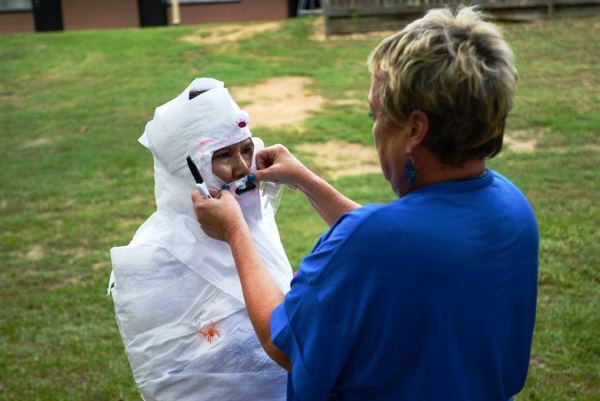 Group your guests in a team of two, have one member of each team to be the mummy who will be wrapped with tissue paper from head to toe as quickly as possible. Don’t forget to remind the players to keep their teammates’ faces exposed so they can breathe easily. Children enjoy carving pumpkins, which is why this Halloween tradition never gets old. For this year’s Halloween party, you can host a pumpkin carving contest. This activity will not only encourage the participants to bring out their creativity, but it will also allow them to express themselves. 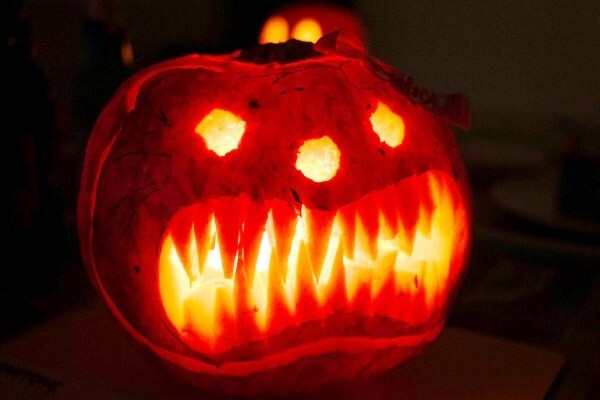 The key to winning pumpkin carving contests is to create a design that stands out in the crowd, and this will definitely inspire your guests to think of something different besides the usual shape of pumpkin eyes, nose, and the famous grimace. For this activity, ensure that each participant has age-appropriate tools. Do not allow very young children to use sharp objects; if they really want to participate, you can let them draw the design and have someone older do the carving. For children who can already use sharp objects, it is still best to have someone around who can supervise them to ensure safety. One of the things that people enjoy most about Halloween is the chance to wear costumes. 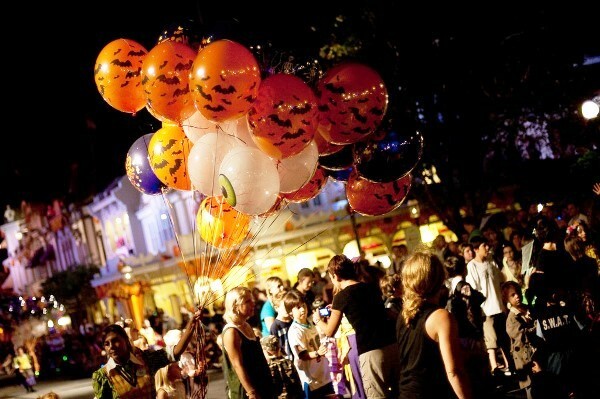 For this year’s celebration, why not have a costume party? Either hold a contest, a fashion show, or just enjoy the party in your favorite costume. 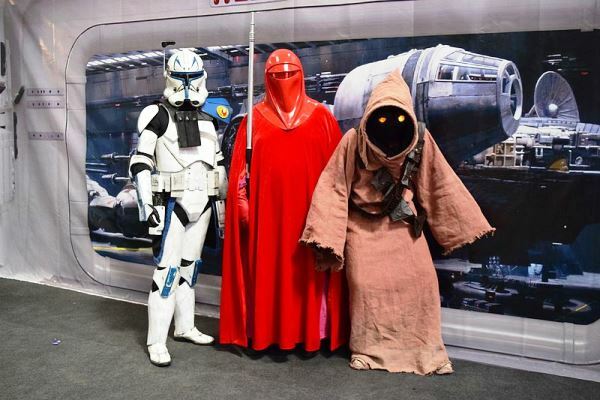 You can let the force be with you with Star Wars costumes. The series has a lot of iconic characters, giving you a wide range of options when it comes to choosing a costume for this occasion. Some of the popular ones include Darth Vader, Obi-Wan Kenobi, Han Solo, Luke Skywalker, and Jabba the Hutt. 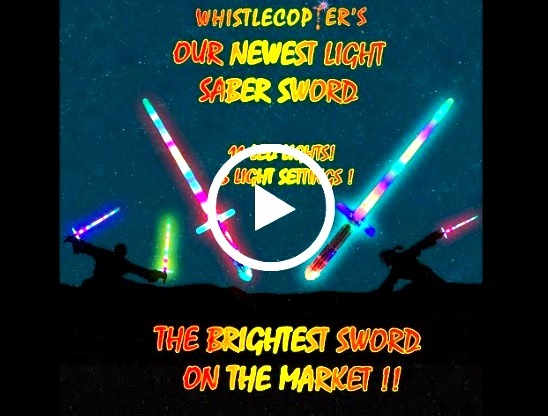 Make your costume look better with additional props such as the Light Saber Sword from Whistlecopter. The Light Saber Sword is something that children, especially fans of the Star Wars movie, would definitely love. It has eleven bright LED lights and three LED modes. What makes this toy very unique compared to other toy swords in the market is that the entire sword, including the handle, emits bright lights. 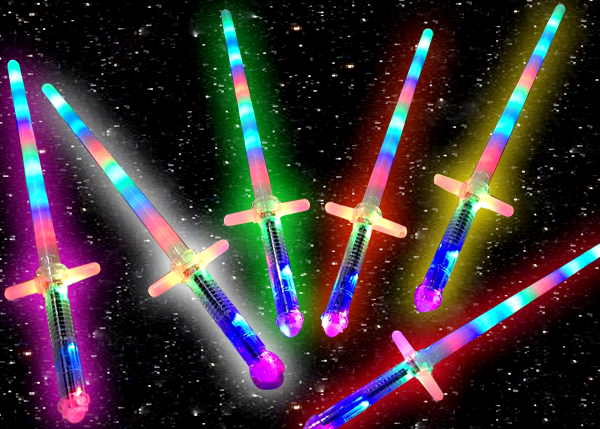 The Light Saber Sword also comes with batteries for you to enjoy longer hours of playtime.